Household employers do not have an April 1 filing. Household employers need to file a Schedule H on their personal tax return. Household employers do this as well on 1040 Estimated Tax Payments (not a Form 941). Household employers do this as well but in July on a regular 1040ES payment frequency. 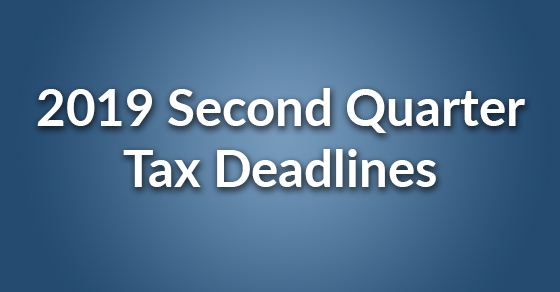 Most corporate employers have employees focused on accounting that can keep track of all these key tax deadlines for the 2019 second quarter. Most household employers don’t, that is where we come in. We’re happy to answer any questions you may have about household employment laws and taxes, just give us a call at 1-800-626-4829.